The Rolls-Royce Silver Ghost, originally named the 40/50HP, was produced between 1907 to 1925. The title of ‘Silver Ghost’ was given to the car via the press, but from then on was known by that name. At the time, the Rolls-Royce was the most advanced car money could buy – it is even said that driving it was such a serene experience that occupants of the car were regularly seen “ghosting” along the road. The 40/50HP was first shown to the public in 1906 when it was launched alongside two other existing models, however the 40/50HP was still in development stages and not fully finished at this stage. The press were given the car to test in 1907, which is when Autocar coined the famous phrase “best car in the world” – the marque have been using it ever since. The car was originally powered by a 7,036cc six-cylinder engine but was increased to 7,428cc in 1907. The transmission remained a three-speed before being upgraded to four-speed units in 1913. The chassis sported rigid front and rear axels and leaf springs on all four corners. Early specification cars only had brakes on the rear wheels and later upgraded to drum brakes on the rear axle in 1913 and state-of-the-art four-wheel servo-assisted brakes were added as an optional extra in 1923. 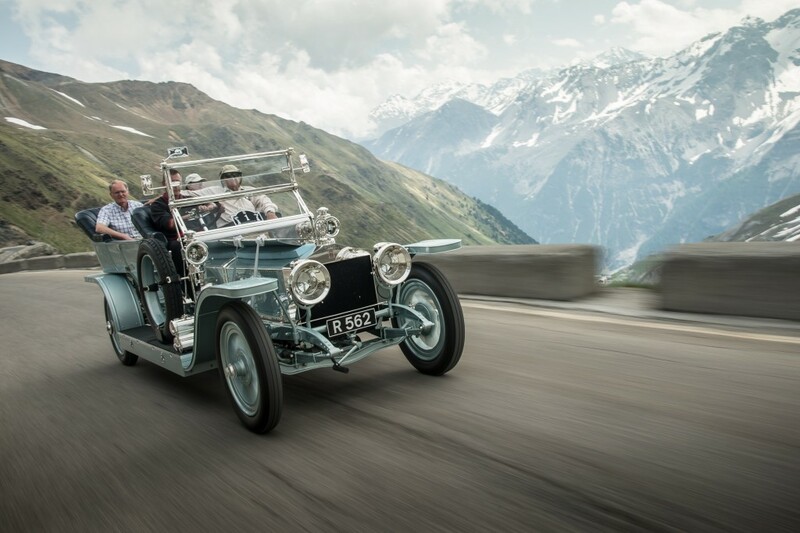 The Silver Ghost (pictured) will be proudly on display amongst 60 of the world’s finest cars at the Palace of Holyroodhouse this year.